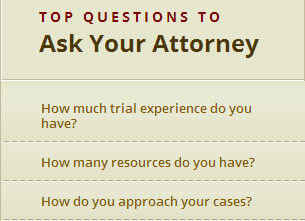 Many will assume that most Poughkeepsie and Dutchess County attorneys do trials, the opposite is true. Most attorneys, even some who handle Poughkeepsie and Dutchess County criminal matters, have never done a jury trial. The practice of criminal law requires the experience to know what can and what cannot potentially be won at trial and this requires actual trial experience. I recall one case that everyone was telling me to plea or my client would spend the next five years in prison, even the Judge and the District Attorney were pushing for a plea to a felony. I explained to my client that even though he stabbed someone over 10 times that the man who broke into his house and attacked him and his family had no right to do so and he had an excellent defense for self-defense. I took that case to trial, the jury agreed and my client walked free with no criminal conviction. Poughkeepsie and Dutchess County criminal defense sometimes requires the client to make tough choices and they need an experienced attorney to advise them which direction would be best to go with their case. A less experienced attorney who did not have the feel or confidence in the court room may have provided different advice, pled the client and he would have gone to prison and had a felony conviction on his permanent record. Ask the Poughkeepsie and Dutchess County attorney you are hiring how many jury trials they have done because should you choose to have a trial on your case, experience does matter! Having practiced Poughkeepsie divorce law for 23 years choosing the right attorney to handle your Dutchess County case is not an easy task. I routinely take over cases from other Poughkeepsie Divorce attorneys who know the law but are not able to get along with the clients or have handed the case off to a less experienced person in the Dutchess County law firm. I often refuse to take on a Poughkeepsie separation case because I feel the expectation of the client is not realistic and I will be unable to meet their expectations and thus result in a poor attorney client relationship. A. How long have you been doing this for? B. Have you ever done a trial? C. Are you the attorney who is going to work on my case? They may sound good, look and smell good, but is this bait and switch to a less experienced or different associate. You have an absolute right to know who is going to be working on your Poughkeepsie divorce case because in the most difficult time in your life this is the person who you are going to have a relationship with as yours is breaking apart. If you don’t meet the Dutchess County attorney who is handling your case at the intake you don’t hire that firm! D. What are the issues you see in my Poughkeepsie divorce and how can you help me? These are just the basic common sense questions that should be asked at all interviews with a Dutchess County family attorney. It all relates back to RULE #1: Meet with the Poughkeepsie family attorney who is going to handle your case and see if he or she is right for you. As parents prepare to divorce, one of the most common concerns is how to break that news to their shared children. As with any significant event, the fears and anxieties surrounding the issue are often far worse than the ultimate reality of the event. In most cases, children are already aware that there is trouble afoot, and will not be shocked at the news that the family structure is about to change. Parents in New York can make the discussion concerning divorce and eventual visitation far easier to manage by preparing in advance. The best way to let kids know that their parents are preparing to divorce is in a “family meeting” type of setting. Whenever possible, both parents should be present. The meeting should take place in a familiar and comfortable environment, without scheduling pressures on the back-end. This is not a talk that should be rushed by a softball practice or scout meeting. Leaving it open-ended also gives kids a chance to formulate questions at their own pace, without feeling rushed. When discussing the reasons for the divorce, parents should strike a balance between being open and honest with their kids and avoiding burdening them with information that they do not have the ability to process. It is perfectly acceptable to express sadness about the change in family structure, because this allows children to see that it is OK for them to be sad, as well. It goes without saying that parents should be absolutely sure that reconciliation is not possible before breaking the news to their kids. When preparing for this meeting, parents in New York should not feel as though they have to cover every aspect of the divorce and resulting visitation schedule in one sitting. It takes a number of discussions to fully prepare kids for the changes ahead, and it is important that parents are able and willing to revisit the matter whenever necessary. By remaining available and accessible to their children, parents are providing the love and support that kids need to adjust to the transition as it occurs. For those New York parents who are going through a divorce, the stressful aspects of that process can begin to bleed into other areas of life, including one’s career. This can be especially true for parents who are going through a difficult child custody struggle, while trying to maintain their job performance. It is important to acknowledge the challenges of juggling one’s personal and work lives, and to put coping strategies into place that can prevent a negative impact on one’s career path. One of the most important steps that a divorcing parent can take is to avoid discussing their child custody struggles at work. Doing so can lead to the assumption by one’s co-workers and supervisors that a worker is distracted from their work-related tasks, and is not able to maintain the required pace during a time of personal struggle. These assumptions can linger long after the divorce is over, and can even impact future promotion assessments and performance evaluations. Talking to one’s co-workers about divorce and child custody issues can also lead to tension within the workplace. Often, people don’t know how to react when confronted with information of a personal nature, especially if they do not have a strong friendship bond with the person going through a divorce. In some cases, hearing constant updates on the divorce and child custody proceeding of a co-worker only serves to remind one of his or her own divorce experience, which can make it even more uncomfortable. The best course of action is to allow work to be a space in which one’s divorce has no influence. Focus on work while at work, and focus on divorce and child custody matters when at home. By doing so, many New York spouses will find that they have a better outcome in both regards. Preserving one’s career path is an important goal, especially during the end of a marriage, when the future can be uncertain. It takes a special New York family to make the decision to open their hearts and their home to an adopted child. Without such caring parents, many more children would be left to grow up in foster care or institutional settings, when their biological parents are unwilling or unable to care for them. When making the decision to adopt, however, it is imperative to have a full understanding of any and all potential challenges that could arise in the years to come. One couple is currently embroiled in a child custodycase that reversed their adoption, and led to the loss of their 9-year-old daughter. The child was placed in their care as a foster child before the age of two. In 2008, the couple adopted her, and gave her what they thought would be a permanent home. Her biological father was a convicted felon serving a 15 year sentence in federal prison, which led to the automatic loss of his parental rights. Everything seemed to be in place to secure a permanent adoptive placement, and the adoptive couple were overjoyed. The biological father, however, was able to negotiate a deal in which his sentence was reduced to less than eight years. That change allowed him to pursue his parental rights. When he made efforts to regain his child custody rights, a court allowed the child to remain in the home of her adoptive parents, as she had already established a close bond with them. Nearly five years later, her adoption was reversed, and a court ordered that she be placed in the care of her adoptive father. This unusual child custody case has no clear winners, as both sides have been or will be deprived of a portion of their daughter’s childhood. The case does serve as a warning to all prospective adoptive parents of the need to have a comprehensive understanding of New York law before moving forward with an adoption. Understanding the potential challenges that an adoptive family could face is an important component to bolstering one’s parental rights. When kids go through their parent’s divorce, it can be difficult for them to know what to expect from the process and the eventual outcome. Children thrive on structure and consistency, and divorce and child custody changes can throw a wrench in their daily routines. For New York parents who want to ease the transition from one household into two, the creation of new routines can be instrumental to their success. While it may be difficult for parents to work together to create new routines, the benefits are well worth the effort. Children will have a far easier time adjusting to the change in family dynamic if many of the household rules and schedules are the same within both homes. This can include bedtimes, morning routines, homework expectations and even household rules. By collaborating on these issues, parents can ensure that their kids know what to expect, no matter if they are with mom or dad. For younger children, having a nighttime routine where a parent reads to them for a period of time before bed can help create a peaceful end to the day. Older children can benefit from a dedicated hour after dinner to get help on their homework or talk about issues at school. No matter what the routine may be, consistency is the key to success. When creating a child custody and visitation schedule, parents in New York should take the time to discuss this issue with each other. When both mom and dad agree that working out shared routines is the best course of action, the path ahead can be made far smoother for everyone. Often, taking the focus away from their own issues and placing it on the well-being of their shared children can help divorcing parents make an easier transition into their new parenting roles.